Put your foot down for a great cause! Looking for a way to increase your fitness levels, develop new healthy habits, have a great time with friends, and raise incredibly important funds to support people with cerebral palsy (CP) in Singapore - all at the same time? Then look no further, because here it is - Steptember 2018. 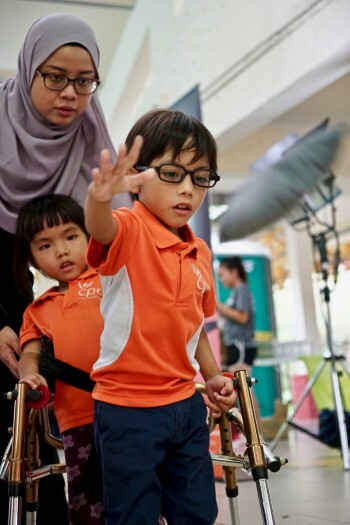 Run by Cerebral Palsy Alliance Singapore (CPAS), the Steptember charity project challenges people to take 10,000 steps a day for 28 days straight in, yes, you guessed it, the month of September. Unlike many other charity challenges, Steptember is done in your own time. Just take 10,000 steps a day whenever you like, wherever you like, and log your steps online. Keeping track of those steps is just as easy with the fantastic new pedometer you'll get just for signing up. Sounds easy, right? Well, perhaps not. But certainly rewarding, inspiring - and enormously appreciated! Taking 10,000 steps a day for 28 days straight is one heck of a commitment! But every step will be made easier because you'll know that it's all for a very worthy cause. Every dollar you raise during Steptember allows us to provide much-needed services, support, and care for many children and adults living with cerebral palsy and related disabilities. They have shown more courage and determination in their daily lives than most of us need to in a lifetime. 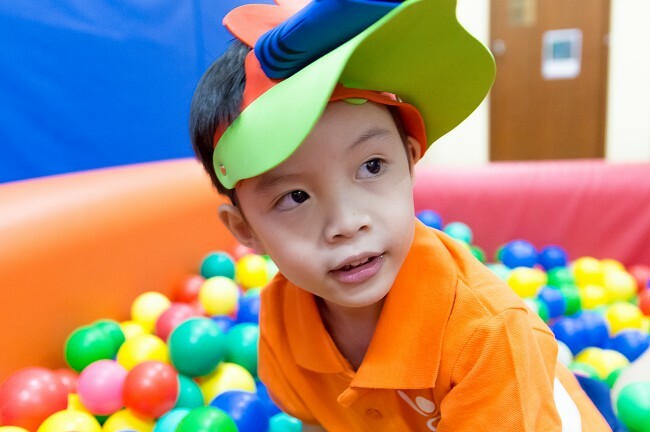 Thanks to the sponsorship of friends and family, you will raise vital funds to help to defray costs of transport, programmes, therapy equipments, and care. All these will help uplift the lives of our needy clients, whose families face financial hardship and have difficulty providing for the special needs of their disabled children. But these things are only possible with your support. The steps that you'll take this September will help more people to take theirs, and that's a beautiful thing to do. Register a team of 2 to 4 from 5 July. Track your daily step count on your pedometer and record your steps via the website or your smartphone. Aim for 10,000 steps everyday in September by each team member. That's the equivalent of virtually climbing the highest peak on every continent! Not bad for a month's legwork. Make every step count (10,000 steps is no easy feat!) Ask friends and family members to sponsor you by making an online donation or you could even hold mini fundraisers. You can also run, cycle, swim or even dance your way to glory. There are over 40 different activities you can convert to steps including activities for people with a disability. Just by reading this you're on your way to taking your first step.